I received my second My Glam bag in the mail yesterday and I'm a little disappointed with this bag. It feels like they are grasping at straws a bit in terms of what products to put into the bags. I guess at least the bag is kinda cute. 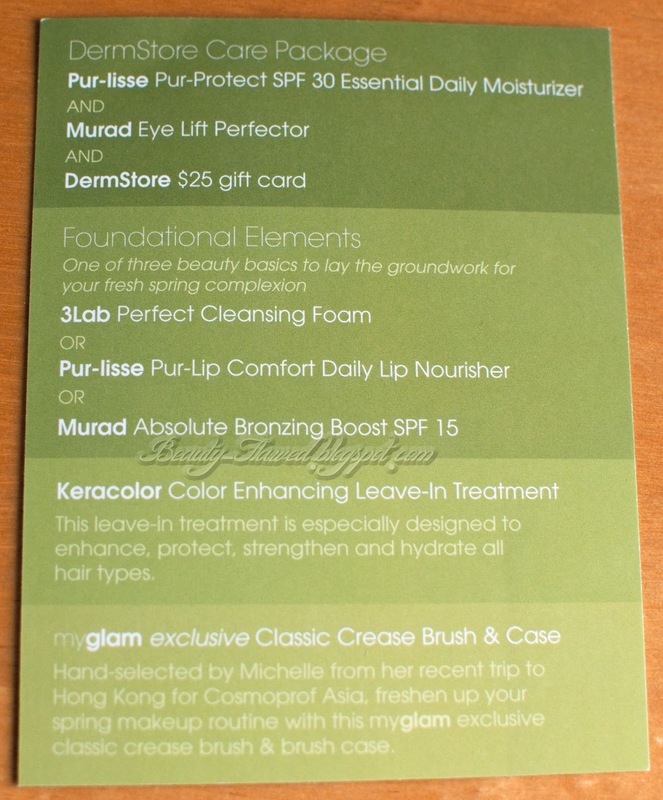 *The gift card again has restrictions and you must spend $50 in order to use the $25 off code, which isn't bad considering it's for Dermstore and I can easily spend $50 there. I received the 3Lab Perfect Cleansing Foam and I'll be reviewing that in another post since its a deluxe sample size I'll be able to give you guys good feedback on it. I'll also be reviewing the Keracolor in another review but from now on I will not be reviewing the teeny sample packets they send out as I feel those do not give you enough product to actually do good review on whether or not it works. Here are some shots of the brush, I find this is a low quality brush that would be comparable to some drugstore brush brands. It's no where near as soft as my Sigma brushes but I didn't expect it to be. I'm not really sure what it's made of but my best guess is some sort of natural hair. It came with a brush holder as well that is just as low quality as the brush. These both smelled horrible when I took them out of the package, they have since aired out a bit but they still smell like gasoline. To be honest I think they would have been better off leaving this out all together and putting that money towards something else product wise. *Update March 22nd, 2012 I ended up throwing away the makeup bag because after storing it in my makeup box everything ended up smelling horrible and the smell was coming off the bag the most so I tossed it major fail MyGlam. The brush and holder still smell even after cleaning them if they end up stinking up my makeup box they are the next to go. I'll stay with My Glam for a few more months but if things don't turn around in a hurry I think I will be unsubscribing. 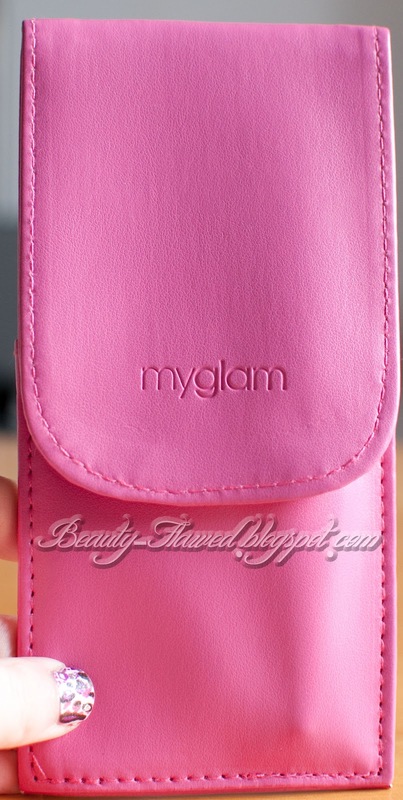 Are you a Myglam Subscriber, what's your take on the March 2012 Glam Bag? Yeah your really not missing anything lol I'm hoping because they brought some beauty bloggers out to talk to them about there downfalls and how they can improve on the bags that they will turn around but I wont hold my breath ! lol I know makeup samples are more expensive but that first bag set the bar really high for them with all the makeup. I will have to wait till Wednesday to get my bag from my parents house unfortunately =(. But from what I'm seeing I'm sure there's no rush. MyGlam did say they plan their bags months ahead of time, so I think I will stick with my subscription until the middle of summer and allow them sometime for change. I am really hoping for more makeup next month! I know me too, I'm tired of getting skincare and haircare! Aww that's too bad these sample subscriptions really need to step it up. Sorry you were disappointed :( the bag is cute though! It happens they get your hopes up just to let you down! lol Something like that anyway hopefully they will turn things around in a hurry! 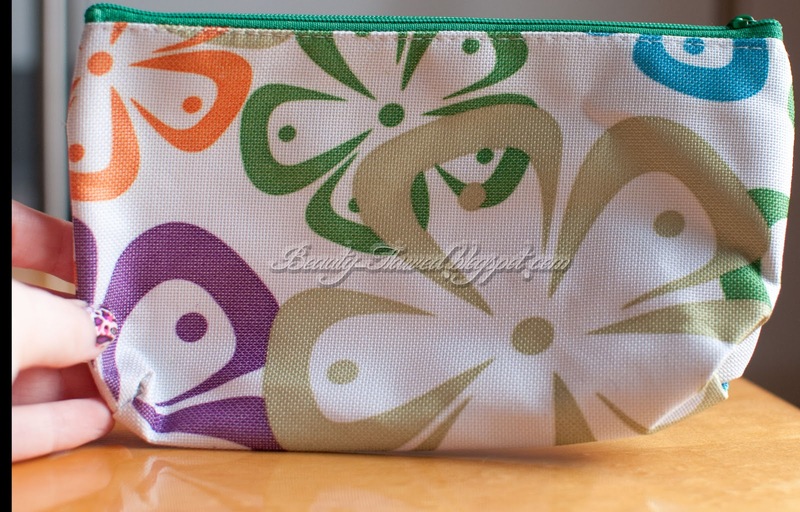 I’lll be working on reviewing this bag soon, but like you I was not impressed! Yeah I would suggest waiting a bit to see if things pick up. Someone should come up with a better bag, I'm sure the rest of us that do pay this amount every month wouldn't mind paying a bit more for better products. But for March, I think Birchbox > MyGlam. Kind of over my glam, it's a lot of skin care products, but I know what works for me and don't really like trying new skin care products, especially when they're just drugstore stuff. I wish they would include nail polishes. I agree there was a lot of hype surrounding this company and they started off great but have been a let down so far. I'm subscribed to Green Grab Bag and they haven't disappointed me yet. I had Birchbox before but I unsubscribed, they weren't' sending good samples anymore. And the bag...I mean it's supposed to be "Glam" bag...not flower spring plastic looking bag. As "glam" I would have expected something with glitter or so..no? I've been seeing that one around lately I think that or BB will be my next subscription service I try out!